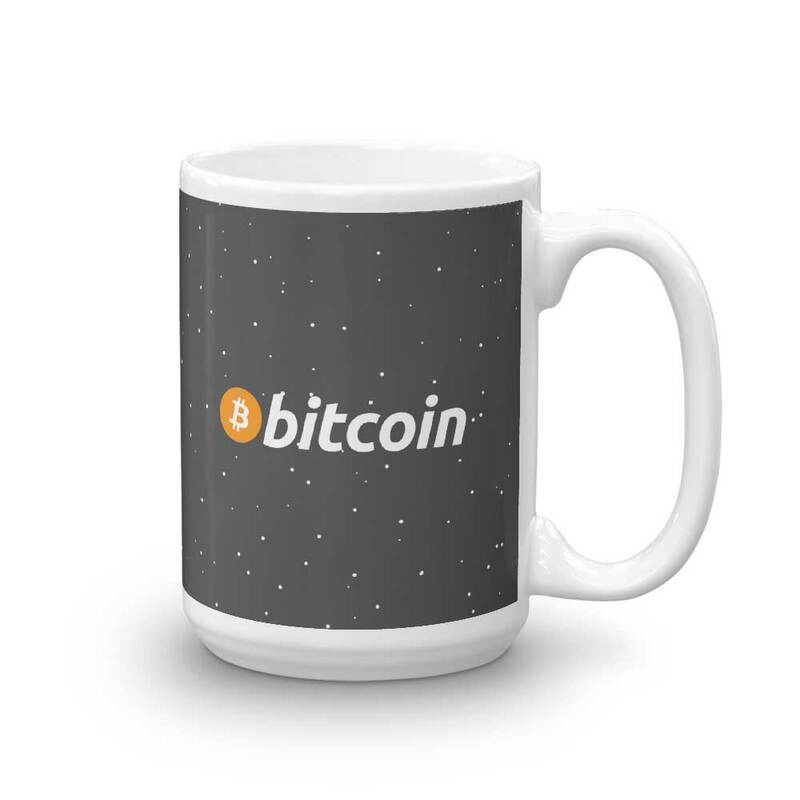 Ceramic, glossy Bitcoin Mining mug. 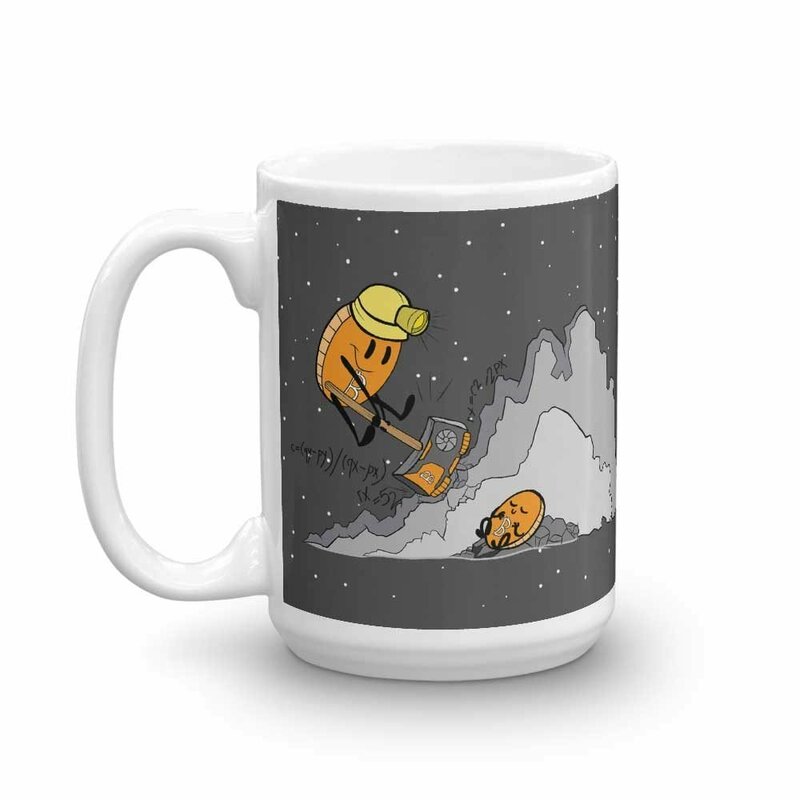 One of our most popular illustrations – Bitcoin Miner finally gets his mug. The cup is available in sizes: 11 and 15oz. We wanted to honor an integral part of the blockchain – the miner. While often most misunderstood process, it’s crucial for the whole blockchain system. We wanted to merge traditional understanding and what miners do. The illustration represents a Bitcoin Miner holding a specially crafted pickaxe. The pickaxe top is made out of the graphics card. That describes the tool miners are using. While digging, there are bits of rocks and dust and also mathematical equation and algorithms flying around. With that, we wanted to show that the miners are doing mathematical calculations. 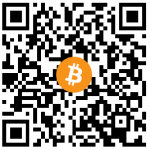 Finally, when the miner is done processing (digging), he will release the baby Bitcoin. That process represents the reward the miners are getting for doing their job and keeping the blockchain network alive. There is one more detail we added. 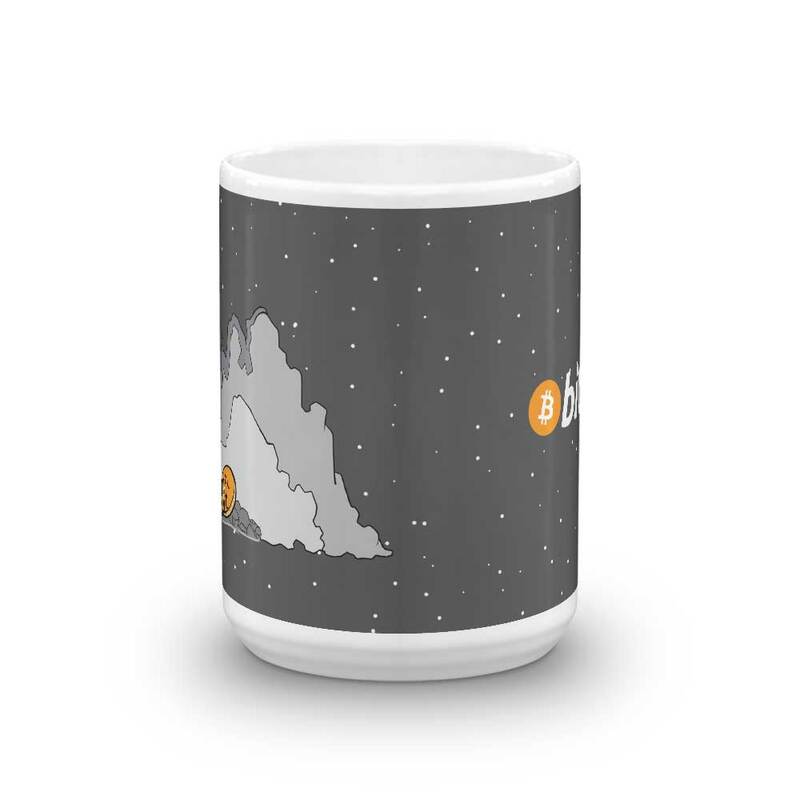 The rock itself is illustrated to depict the Bitcoin price chart.